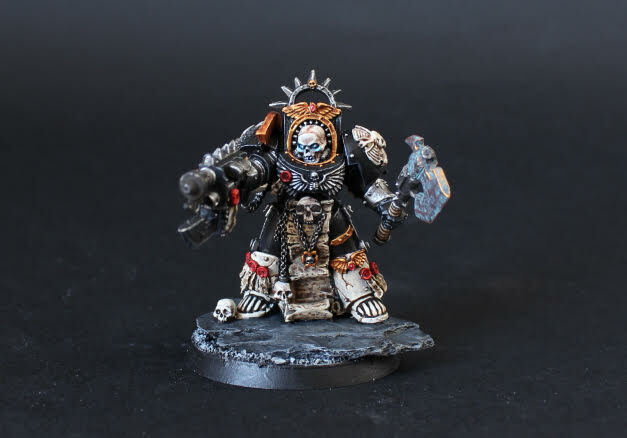 This week's Better Know a Blogger features John from Heresy and Heroes. 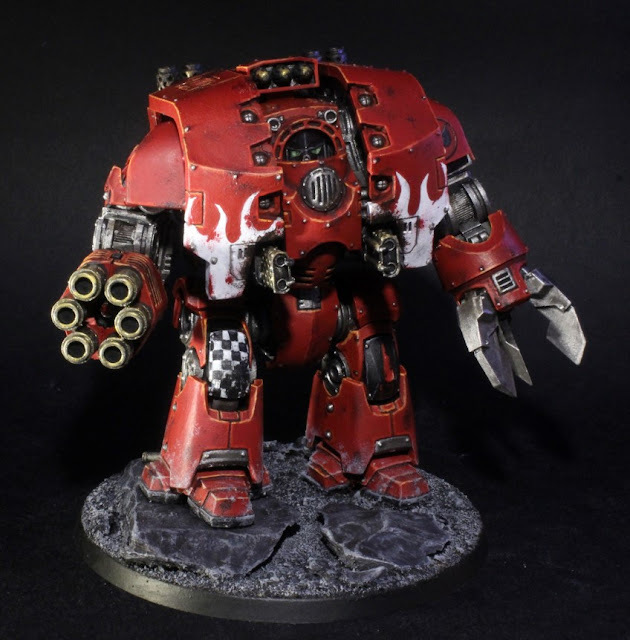 I think what first brought me to Heresy and Heroes was the pictures of John's brilliant 30k Blood Angels army that kept popping up on the Faeit212 blogroll. 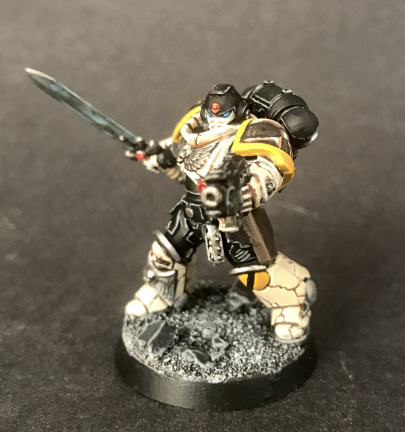 After checking out the thumbnails a few times, I was keen to see the rest of the army. 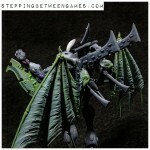 One of my favourite recent articles on the blog, was the ones showing the completed Rhinos for the army. These stalwarts of the Space Marine army have been painted to a very high standard by John, and show off well the models, which seem to be a mix of the latest Rhino kit and the classic Rhino chassis from 2nd edition (a firm favourite for old gamers like me. I still have a couple of these kicking around). 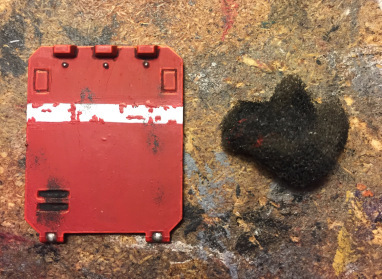 He did a great job on them, with some great weathering to show that they have been in fairly heavy use. Fortunately, he put together a great tutorial showing how to achieve the same technique for your own vehicles. 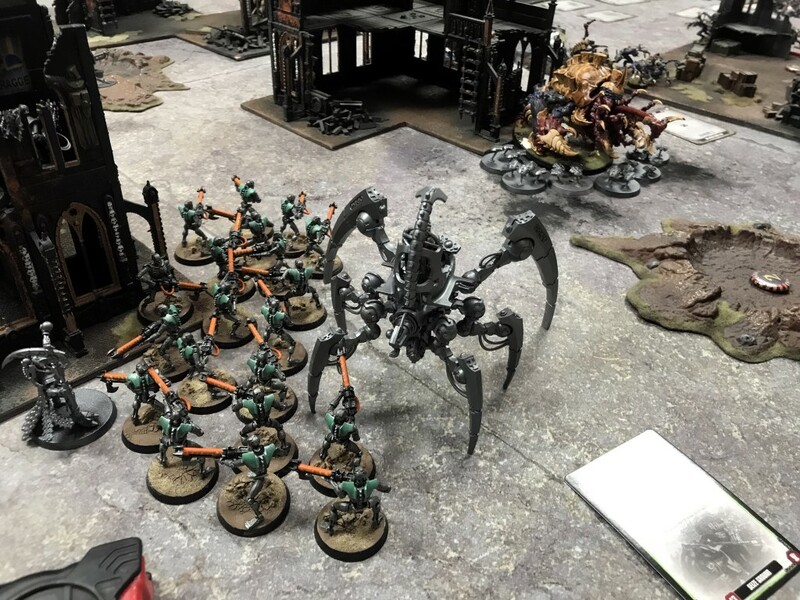 As well as some great hobby goodness, you will also find a lot of editorial pieces about various aspects of the game and hobby. These include more recently a tribute to White Dwarf and a discussion on whether 40k has too many armies? Be sure to check out his top posts of 2016 for a great flavour of what the blog has to offer. I blame the entire thing on Henry South who runs 4gotowar.blogspot.co.uk. It’s all his fault. 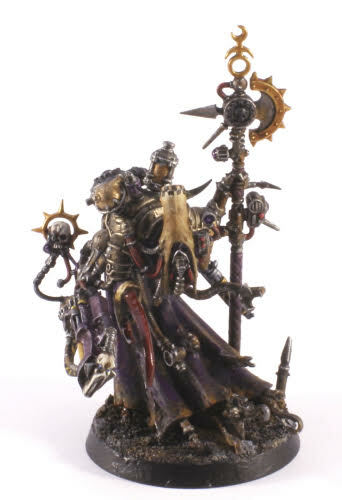 We were about 8 or 9, and he came into school with a couple of these little metal dudes, and a copy of this crazy looking magazine called White Dwarf. One visit to the GW store in Reading, and I was hooked. I bought the 2nd Ed box set (which also played a huge part in getting me addicted to little toy soldiers from the 41st Millennium) within a couple of months (had to save up pocket money and do some odd jobs to earn the cash) and that was that. I had a bit of a break during my teens when I discovered girls and rugby, but even then, I still kept informed. I think I’ve been interested to one degree or another for about 25 years now. 2. 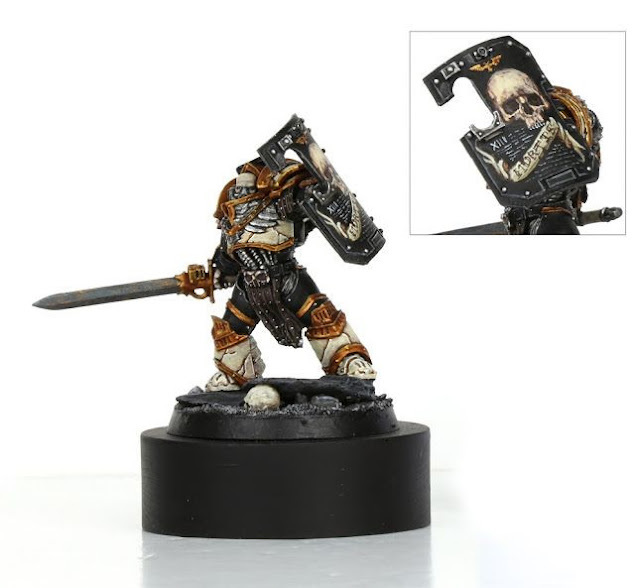 What was the first model you ever bought/painted? It was so long ago, that it’s tough to recall. I’m pretty sure the first thing I ever bought was a blister pack of metal Swooping Hawks which I then butchered by using poster paints, humbrol paints (the ones you use for Airfix models) and whatever else I could scrounge up. It was either the hawks, or an old lead (Pb) Genestealer Patriarch with a couple of diddy familiars, who also received a similar paint job. 3. What is your favourite aspect of gaming? It’s a toss-up between the fluff and the painting, but also I’d add the history of the game to that list. One of the reasons that 40k is really engrossing, and hard to stay away from once you’ve tried it, is that the storylines and settings are so brilliantly fleshed out. Almost every corner of the galaxy has something going on there, and that’s fantastic. On the painting side, I love seeing my own progression. 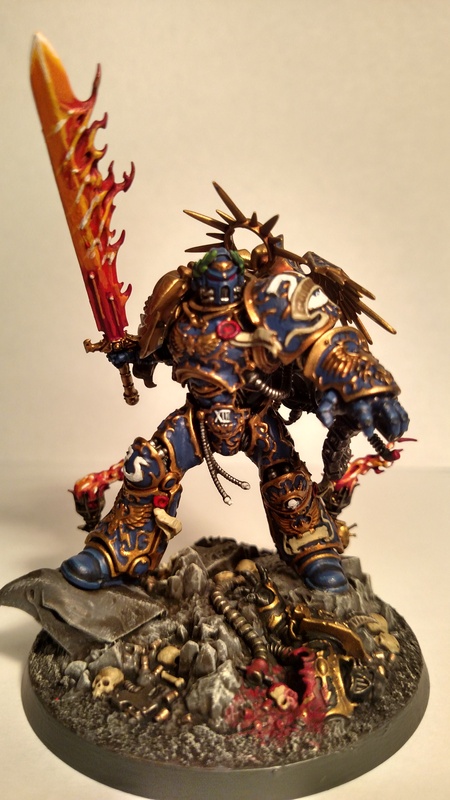 I don’t seek out a lot of tutorials, but I love to learn how to do things, and when I look back at how I used to paint, I feel both thrilled with how far I’ve come, and a little ashamed of some of those old paintjobs. As Bob Ross once said ‘Talent is a pursued interest’ and that’s very true. It’s also great to see whatever other people are working on as well. 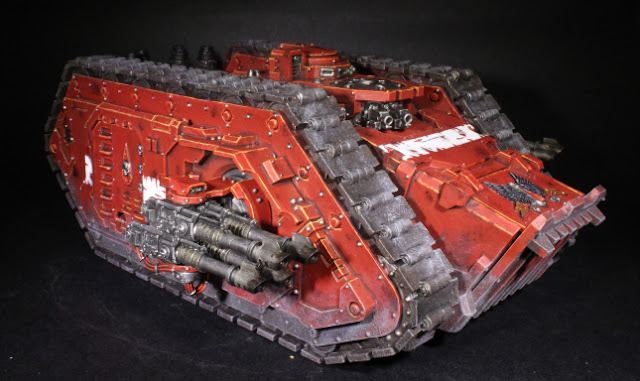 Through the Google+ 40k Community, and Eavier Metal on Facebook, I get to see so much cool stuff! And like I said, I love the history of the game, and the company too. Those ancient sculpts are often pretty dorky, but you can still see in them some of the things that are being used on modern sculpts today. Jes Goodwin’s Eldar Sketchbook (if you can find it, buy it!) is a fantastic chronicle of where that race has come from and where it’s going, as are the Apocrypha books that are great for a history lesson too. From mad old rules, to off-beat illustrations, to crazy minis, there’s some gold back there. It’s why I did my series of Miniature Focus articles that people still seem to really enjoy, which is great. 4. Fondest memory in gaming? Well, there’s a lot that I’m getting on with at the moment. 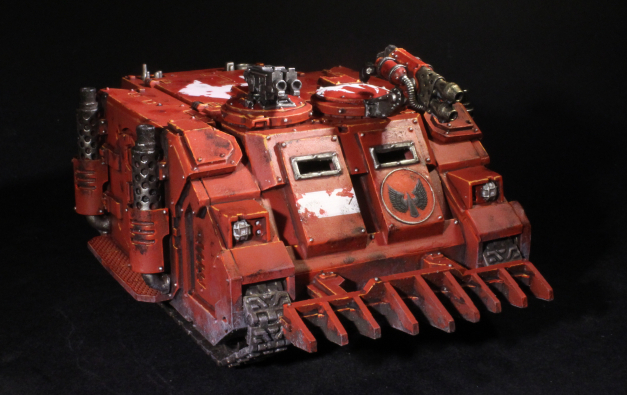 I’ve been working on Blood Angels for ages now, but I’m nearly done with ‘Phase 1’ of that project. 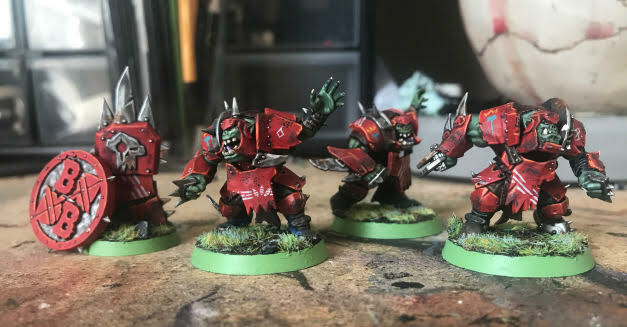 I’ve been distracted with painting my Orc Blood Bowl team recently which is less than half way done and taking ages. Then I’m having a bit of fun with some of the minis from the Dark Imperium box as well. There’s a titan I need to work on and about four diorama/duel ideas I have. Oh, and a 75mm scale miniature from Figone.fr that I’m terrified to start work on. So there’s plenty going on right now (should be lots of good stuff to come on the blog soon!- Mike). 6. When you are not conquering the tabletop, what do you do? I work in search marketing (which is essentially a fancy way of saying ‘I give other people’s money to Google’) and that keeps me in rent and beer money. My other hobbies include video games, walking, discovering great pubs, drawing, reading, and pub quizzes. 7. What would you say about your blog to someone who has never read it to draw them in? It’s eclectic, hopefully funny, and full of sub-par images because I’m pretty hit and miss when it comes to photography. It’s quite personal and very much based on my opinions, my work and what I like about the hobby. 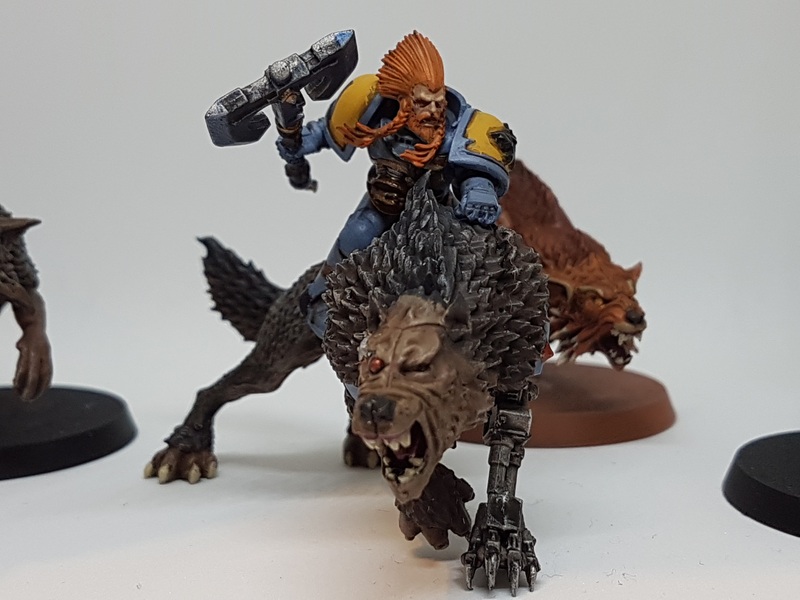 I don’t really do news, or showcases or stuff like that, but I put up the occasional tutorial, talk about the news and rumours out there, show off my miniatures, and try to have fun with the hobby. 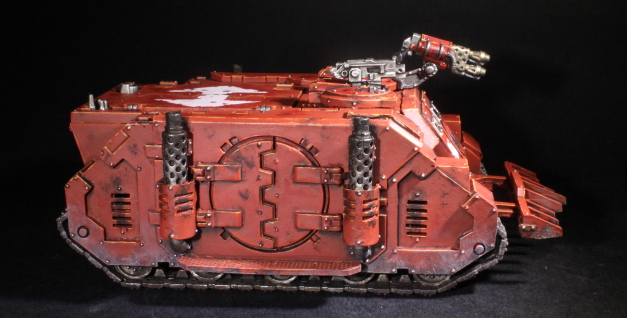 I dunno – it’s just about my take on 40k and everything that goes along with that. The tagline of heresyandheroes.com is ‘One Man’s Adventures In 40k’ and that’s pretty much it. 8. What is your favourite article that you have written? Tough one. It’s probably a tie between the Space Marine Chapter Name Generator that I really enjoyed creating (it’s amazing how much fun you can have with a thesaurus and an excel spread sheet) and the post where I revealed my completed Slaaneshi Chaos Knight, Dios Toros. 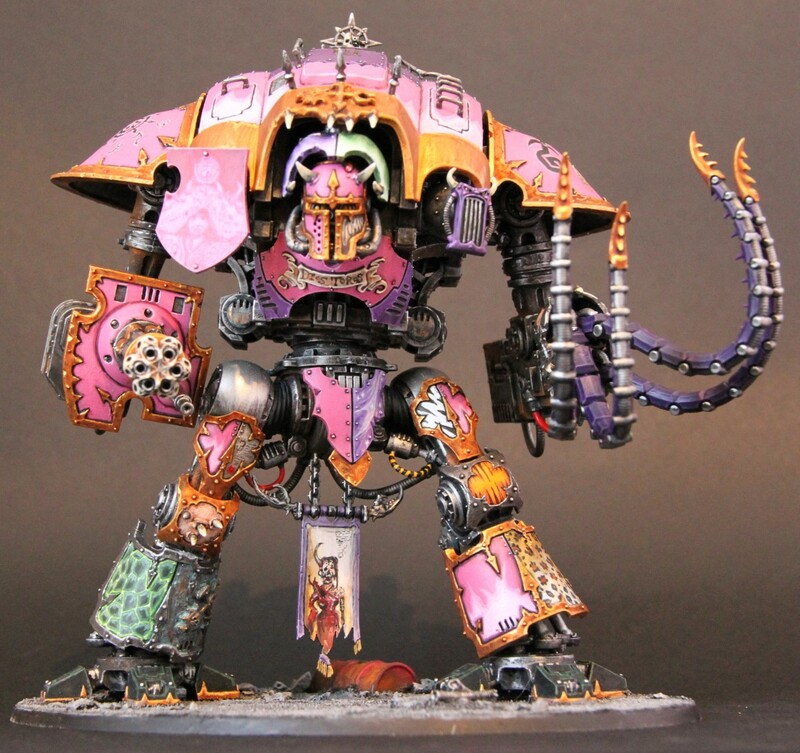 That Knight was done in a very old school, bright, brash, loud and stomach-churning traditional Slaaneshi paint scheme that a lot of work went into, and it was lovely to have it received so well. That was a big project and it paid off, so it always makes me happy whenever I see it crop up again. 9. Which rule would you like to see changed or removed entirely? I’m loving 8th at the moment so I don’t know that I’d want anything removed, but one thing I miss is the hilarity that came with grenades in 2nd Ed. Myself and the aforementioned Henry South were once playing against a guy with an Ork army with our Imperial Guard (we didn’t have much each at the time so we teamed up) and we got pretty much tabled in three turns. Maybe two. But the memory that sticks was our guys trying to throw grenades. Henry’s guy dropped his and blew himself up, and mine threw his grenade directly behind him and into my unit of Ogryns. And in other games, there was nothing funnier than the chaos that was caused by a vortex grenade bouncing around the field. It was all so silly, but you always got a laugh out of your games. 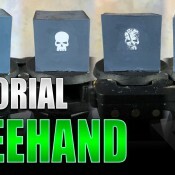 Bring back crazy grenades and the stupid rules for throwing them! 10. Which of your armies is your favourite? 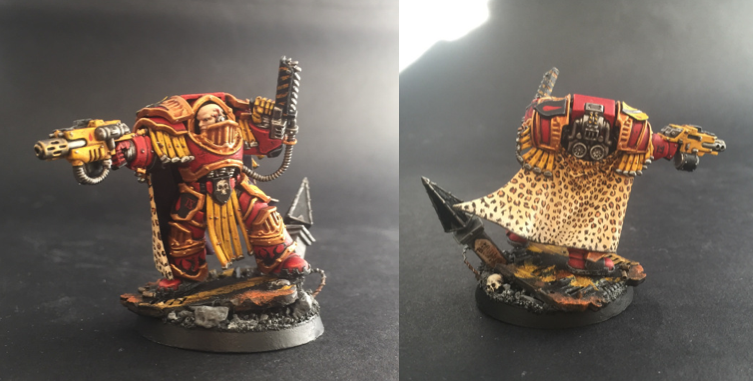 Blood Angels. My favourite army is always one that I’m working on at the time of asking. I’m really happy with how they’re looking, the miniatures used, and the setup of the whole army. 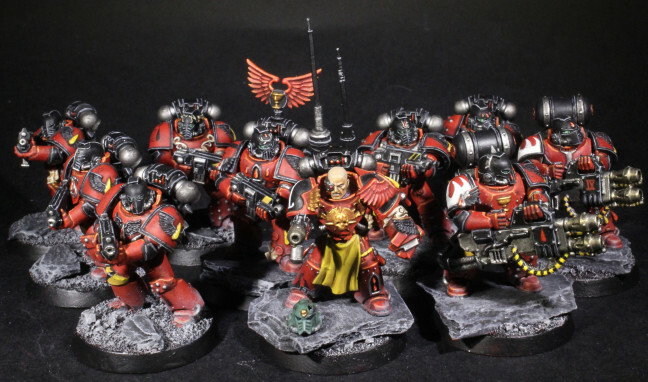 Also, I’ve wanted a Blood Angels army since 2nd Ed so that’s pretty nice. 11. Secret wargamer or loud and proud? I’m getting better at being loud and proud about it. I was always quite secretive and when people asked me why my hand was covered in paint, I’d say ‘I was painting… a painting…?’. Now if someone asks, I just tell them I paint toy soldiers. I don’t think I care enough about the opinions of anyone who would think less of me for enjoying myself like this for what they had to say to bother me. 12. Any hobby tips or cheats to share? Ha! There are no painting cheats, but I’ve learned a lot of helpful tips over the years. Sand doesn’t look like sand unless you paint it to look like sand, Mephiston Red spray is a Godsend, when painting Slaanesh, you can never have enough leopard print (that's true in all walks of life!- Mike), thin your paints, you won’t get anywhere with GW brushes alone, and don’t keep your coffee mug near your water pot while painting. But one key lesson is that you should only work on what you enjoy working on. People try to force themselves to paint things, and if you’re not in the mood, you should put your brush down and go do something else until you get the itch to paint something again. And don’t try and force yourself to paint a unit or miniature you don’t like, just because you bought it. Plastic doesn’t expire – one day you might really want to paint it, so leave it until then. Very casual. My enjoyment of gaming comes from playing a good game. Obviously winning is nicer than losing, but I don’t have the mentality to spend my gaming time being desperate to get a win. I don’t think I’d be very good at a tournament but I would like to try one out one day. Nintendo. Hands down. The N64 was the greatest console ever; Goldeneye, Mario 64, Ocarina of Time, Majora’s Mask, 1080 Snowboarding… No contest there. Can I pick Nintendo again? I guess if I had to pick from those two, I’d pick Xbox just because I used to play Left 4 Dead a lot. 16. McDonalds or Burger King? McDonalds for breakfast, Burger King for dinner. But really, I don’t visit either very often. I live in London and there are so many great places to eat that these guys don’t get much of a look in. I don’t drink caffeine anymore (drinking 8 cups of coffee a day for 10 years took its toll so I’m a bit intolerant now), so neither. I’ll have a beer please. Thanks to John for taking the time to answer my questions. 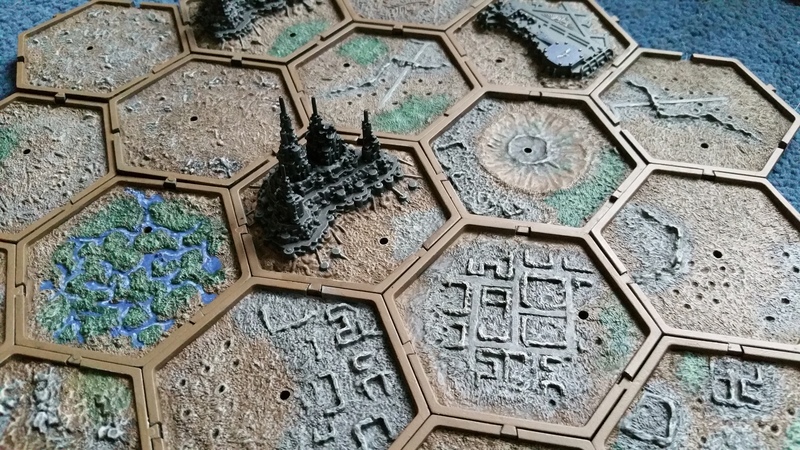 Be sure to check out Heresy and Heroes for some great 30k and 40k goodness. I love this blog, and have done ever since I found it. 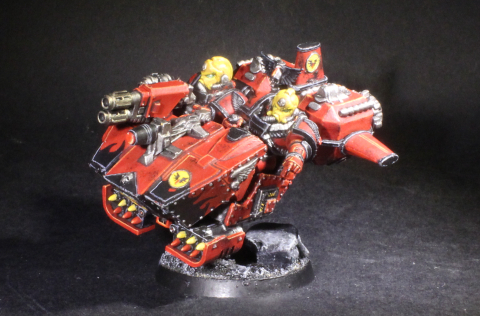 Even more so since John started showcasing his 2nd edition style blood angels, since they were my first 40k army. The only slightly irritating thing is how his pics show up big in my link bar on my own blog (yes Mike, I know you've told me how to fix it but I haven't done it yet) and why for a while whenever I tried to share my own articles, Google+ and sometimes facebook would use John's pics as the link picture. Not that it was a bad thing for people visiting, I just felt guilty! Yeah, I think one of John's Rhinos was showing up everywhere for a while! This sounds like a really great blog, and I'll have to start following it. I torally agree with his ideas on painting and how to enjoy a match. Thanks for the article! Great blog, I too saw his Rhino. His work is just fantastic. 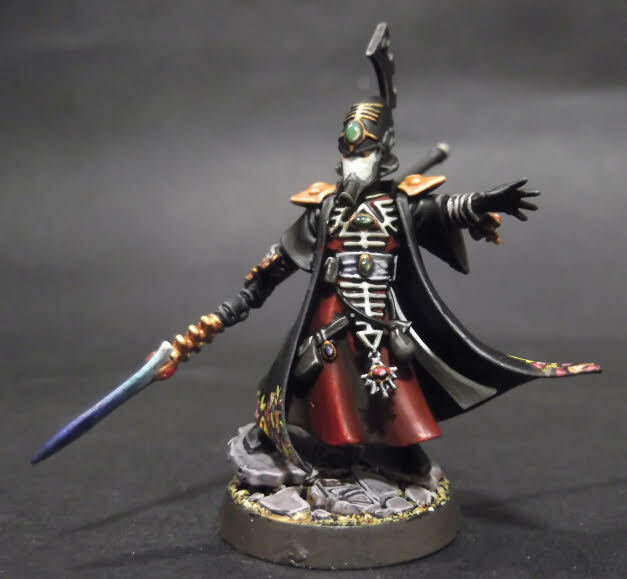 Great models, and a great blog.